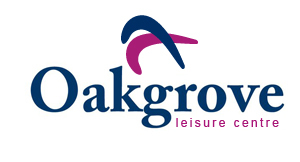 Oakgrove Semi-Private training: look & feel your best. Personal training in small groups, Cork. Most people are familiar with personal training and it’s benefits. However, not so many are aware of the benefits of small group (or semi-private) training. Here are some reasons why this method of training is a good way to progress for many people, particularly beginners. 1. More Fun. There is nothing like training in a group. You can chat, or observe and get inspired by others. Even though your focus and program is your own, the energy with others training around you can help kickstart your motivation! 2. Like personal training but more affordable / shared cost. Save money, but keep high levels of attention. Win-win. 3. Learn correct technique. This is absolutely vital to making real progress on a goal. Without knowing how to move properly, you’re on a hiding to nothing. When you don’t know how to do an exercise, you are compromising results and increasing the risk of injury. Getting good coaching on the other hand, will make sure you’re moving safely and getting the best results from your time in the gym. Plus, a good coach will scale or adapt an exercise to suit you when you need it. 4. The program is catered for you, within a group. Semi-private training does not mean 1-size-fits-all training programs. Your program is individual to you. We perform a 30-min consultation to get to know you, your exercise history, medical history, goals, likes and dislikes. If your goals and likes are similar to someone else’s, then great! But we don’t expect or force it. 6. Make faster progress at skills/technical movements. Semi-private training, and personal training both offer huge potential for progress for any trainee. The key is having a fitness coach dedicated to looking after your progress and using fun movements to challenge and progress you. 7. Fitness ‘Appointments’. Nobody likes missing an appointment. When you sign up to a program, or a session at a set time, your are making yourself accountable to someone. On the other hand, if you have a vague plan to train by yourself sometime later after work etc….it can be so easy to skip it. Life derails us. We want to build you up into the best version of yourself! Book now and get started asap! “Increased Energy Level and Mobility. The strengthening sorted out a ongoing neck injury I had. Definitely a good investment in health” Gillian Brohan. Call Oakgrove now and let us help you achieve your goals!